September was a pretty busy month for NMS South. 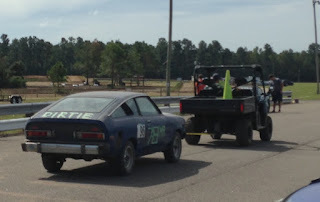 The first Lemons race with Team Coronautski got lots of coverage and was just way too much fun. The team is still prepping for some exploratory surgery in two weeks to get a final diagnosis on the clutch situation. Me on track in the Coronet, courtesy of NMS-North. 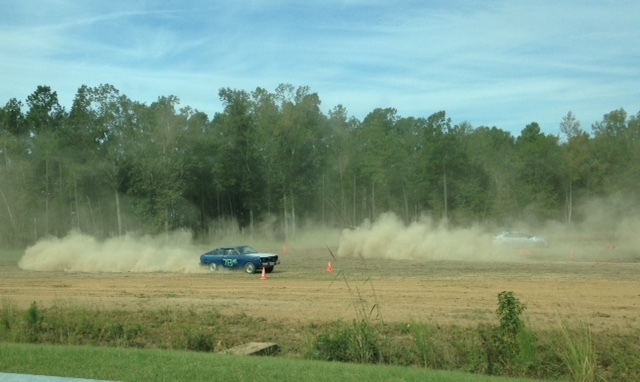 Two weekends ago, the Datsun B210 I picked up earlier this year for SCCA rallycross was finally able to make some runs during an event. 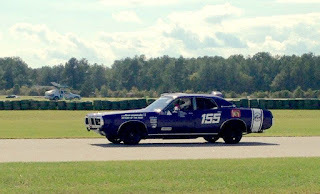 The car was looking great on course until it's time was cut short by an epic failure of the radiator fan. Mr. Dirtie Dirtsun, the B210 kicking up the dust at rallycross. Unfortunately a bolt had worked it's way through the tabs holding the radiator to the chassis and slowly, over several drivers, managed to bounce into the fan enough that the plastic fan blades managed to grind through the aluminum fins, creating a huge coolant leak. Luckily the team caught the issue quickly and we're only out a radiator. Hopefully next event I'll get behind the wheel. Dirtie getting towed back to the trailer in shame. 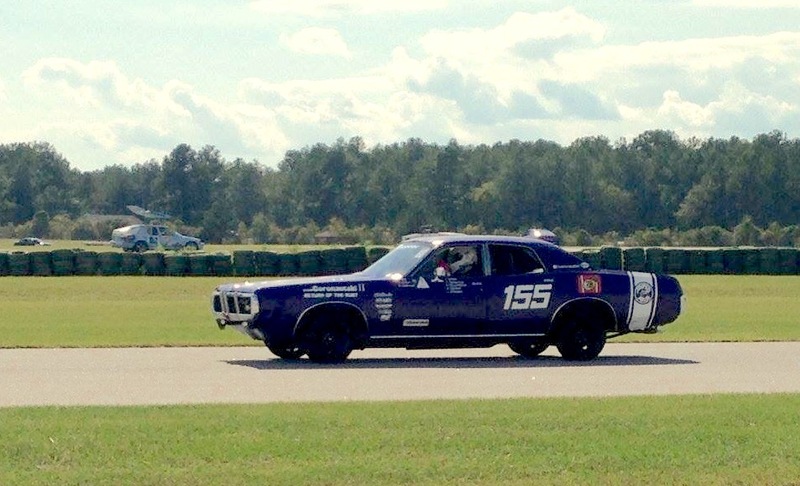 The month finally closed out with an SCR-SCCA autocross at Darlington Raceway. Even after not being at an autocross since June when I was behind the wheel of a Pontiac GTO, I came back strong in the Miata (first time competing in it since February! ), and took second in Pro class AND second overall! It's a good thing October is going to slow down a little and give some time to relax and enjoy the weather finally cooling down to a tolerable level. Noticed you had the drivers names with A. Hammer on for the autocross, nice! Lewis Hamilton: Four Time World Champion! An NMS Weekend of Firsts! NMS Supports October 10th as "Racer Day"
So How Much Does This Lemons Thing Really Cost?